It’s official. 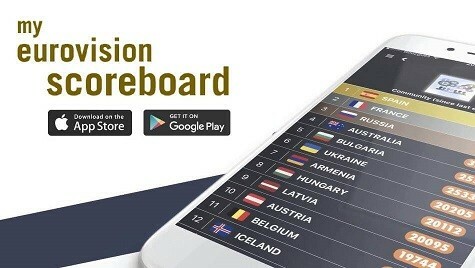 Today the European Broadcasting Union confirmed that 42 countries will participate in the Eurovision Song Contest 2019. The full list was unveiled today on the official Eurovision website. The total of 42 is one less than the 43 who competed in 2018. The announcement was also confirmed on social media. After a teaser campaign — which had many fans wondering if any new countries would debut — a video dropped revealing the 42 for Tel Aviv. The confirmed list is made up of all but one of the 43 acts that competed in Lisbon. Missing for 2019 is Bulgaria. Broadcaster BNT had provisionally confirmed earlier this year, but later withdrew, citing financial reasons. Moldova — the only country to not have publicly confirmed their 2019 participation — is on the list. While broadcaster TRM still hasn’t said anything, it’s possible that they will again use some form of their national final. Eurovision 2019 also won’t see any new countries debuting. Some fans had been hoping that after the Junior Eurovision reference committee invited Kazakhstan to debut at JESC 2018, the Eurovision equivalent would do the same for Tel Aviv. However, in response to this, the EBU said it had “no plans” to invite the Kazakh broadcaster to Eurovision. Also not appearing on the list is Kosovo. Broadcaster RTK has long been eager to participate at Eurovision, however the broadcaster is not currently a member of the EBU. But things could change in the future. RTK is due to meet with the EBU in December to discuss the possibility of EBU membership. Broadcasters from Andorra, Bosnia and Herzegovina, Luxembourg, Monaco, Morocco, Slovakia and Turkey have already confirmed that they will not return to Eurovision 2019. Liechtenstein’s broadcaster has still not applied for EBU membership. Forty-two participating countries is one fewer than the Eurovision record of 43. The last time 42 countries participated was at Eurovision 2017 in Kyiv. What do you think? Do you like nice even numbers? Who would you like to see debut at Eurovision? Tell us your thoughts below! Re point one – this is exactly what happens already. The entry fee for each country varies, depending on how much the broadcaster can afford to pay. The Big Five pay the most, while countries with smaller economies pay the least. This is done specifically so the contest is accessible to all. But let’s not think of Luxembourg as one of those small countries. It has a larger population than Iceland and Malta, and it has one of the highest GDPs per capita in the world. The issue is that the national broadcaster is focused on news, not entertainment. The curse of 43 is back. 42 is good enough, if not a bit too much, since it’s already a bloodbath of songs staying jn the semifinal, when ideally we would have 20-25 countries competing, just like JESC. Whitewashing? I’m surprised you can see any color being the blind hater that you are. Go spread your automatic catchphrases somewhere else and leave us alone. It’s like the people who call it Eurosong. They don’t know what they’re talking about. I would love to see Turkey back. But their president is a religious dictator. I don’t think he would allow Turkish broadcaster to join a contest which is considered as “Gay Olympics”. They have already shown Conchita’s victory as one of the reasons why they are not returning to Eurovision. This whole thing of who’s participating is getting really boring. It’s basically the same countries every year. They need debuts and long time returnees or else we’d have to rely on Junior Eurovision for shock participations. Why do we need shock participants? I gotta say, that’s embarrassing for Bulgaria. I like an even number! That means there are the same amount of countries in each semi which is fair!!! I don’t really think it matters that much. Also, still waiting for the day when a Big Five member will be ballsy enough to decline the privilege of being automatically in the final and try a semi. I think the EBU would be fearful of Italy participating in the semi, not the country itself. Italy will always qualify, but the EBU wants moneymoneymoney. And a Big 5 is more lucrative than a Big 4. Why would any of the big five broadcasters bother? The big audience pull is with the final, not the semis. Only a fan would contemplate this happened when in reality the broadcasters won’t go near the idea. I’d like it to be an even number, so the semis are equally numbered. Just an OCD. We’re stuck at 42-43 which is a great number, but I’d really like a 44 with 19 counties in each semi. I like that its 42 cause that means that minus the big 5 + 1, there will be 36 countries competing in the two semi finals. That’s an even number and so we can have 18 performances in each semi – which is fair. I didn’t like it when one semi had 18 and another had 19 (and just so happen that the blood bath semi 1 was the 19 semi too). The blood bath did make for great entertainment during the results announcement, though. I am happy these 42 are participating. It’s still a big number. Bulgaria will eventually “surprise” us and participate… bookmark me they’re desperate for hype. I wish this was true, but i kind of lost all hope by now. I’m sure another east European country will buy a Swedish song and you can pretend it’s Bulgaria and be happy. All they need to do is find a sponsor which ain’t hard at all. As long as San Marino is there, I’m fine with it. Let Kosovo participate. Balkan states historically tend to be very eager to send quality to Eurovision. Until they get over the novelty of participating. Fine, then give me Andorra. Everything you wrote is true of course and I am aware of that. I’m just dreaming of another epic Balkan ballad. Well, we can count on Montenegro on that… albeit the 2018 ballad was a letdown. Russia and Ukraine is interesting cuz that feud is almost entirely among the juries and not the televote (For instance: neither jury voted for the other’s song in 2016 but Russia gave Ukraine ten points and Ukraine gave Russia the douze in their televotes). In Eurovision All countries are equal, but some countries are more equal than others. The logic doesn’t lack. Australia has broadcasted Eurovision for years. Kazakhstan hasn’t. Why? Do you really need another horrible English entry? I’d say don’t rule out Kazakhstan becoming #43. It all depends on how they do in JESC. It’d be hard for the EBU to turn them down if they do well there. But if we stay at 42, that’s a perfectly fine number. i agree, plus kosovo isnt having their vote until december. if the kosovo vote goes right, they cud annoucement both countries then! I agree. And Kazakhstan have a really good shot at winning Junior Eurovision, so the EBU could turn things around. Eurovision should bebest Europe’s thing..
We already have Azerbaijan, Armenia, Israel, and Australia. We don’t need Kazakhstan..
Cyprus is Asian aswell, don’t know if you were aware of that fact… Without Cyprus would we have gotten ,,Fuego” or Eleni Foureira at all? Don’t think so. Also you should check your facts, it’s about the EBU not only exclusively about Europe. And “Malta was considered an island of North Africa for centuries.” Wikipedia. How can you say, that Cyprus is Asian when it is officially in the European Union? Because it is. It belongs to Asia geographically..
Cyprus is in the EU. They are European. The “geographic” borders are just imaginary lines, they do not actually exist. The line could just as easily stop at Cyprus as anywhere else. As long it has at least some connection with Europe I’m OK with it. Like Azerbaijan, Armenia, Georgia and Kazakhstan all have connection with Europe some even parts of their land on it. Israel participates in all European competitions. And well Australia, they send great songs, but I don’t really see why are they participating maybe they willwithdraw after ESC Asia takes place. It’s not a matter of Australia withdrawing. Their particiaption is on a year-to-year basis at the discretion of the EBU. If they get no invite, they can’t compete. Northern African are also eligible to participate. So this isn’t just a Europe thing. Morocco, Algeria, Tunisia, Libya & Egypt: I wish they would all participate. Right. The contest takes its name from the Eurovision satellite network, on which the show was carried internationally – not necessarily restricted to Europe. I think this is now obsolete anyway. I think , the more the merrier! You need to steal Erdogan’s crown in order to participate in Eurovision. He won’t let Turkey to be part of the contest. Kazakhstan still has a chance! Hopefully they win jesc 2018 and therefore get invited to esc19. Like everyone said there participation depends on their jesc performance. Australia wasnt on this list and they debuted, macedonia wasnt on this list and they participated, so keep the faith! Kosovo are also having a vote in December and its not December yet so there is still hope for Kazakhstan and kosovo in esc 19! May the Universe hear you!!! No plans to invite Kazakhstan. Absolute BS. They have the best junior Eurovision entry this year by a long shot and they’re a country who really wants to be in the contest and to prove that they can do well. I’d rather a country with that passion to be in the contest rather than counties who don’t try. I’m looking at you Iceland, Lithuania and SanMarino! No I don’t believe that having a small population means you get a free pass at having subpar entries. It only takes one singer with one song to make an impact which is where my frustration lies especially with Malta. All they do is send generic, bland songs. Also yes Ralph needs to go! I agree, but you should be aware: Ralph Siegel will outlive every single one of you. I disagee, with you saying iceland doesn’t try. They have only 300000 people and still manage to hold a decent selection. Tbey got 2nd in 2009 and managed a pretty nice qualifying streak until 2015. I’m hopeful that something positive with happen with the Kosovo meeting in December! Let’s have a 43rd! and jesc hasnt happened yet so kazakhstan is still possible too, this list always changes! That won’t happen. Serbia would block it from participating, probably Spain as well and maybe Greece or Cyprus. They didn’t recognize it as a country. They could be risk to fined by EBU, if they do it! EBU won’t allowed that Kosovo could be blocked from EBU as long this country is integrated in Europe. Robyn: Also Kazakhstan could be invitted too if ever wins their first JESC 2018 as well. Yeah, I wouldn’t be surprised either if kazakhstan or kosovo would be a late add on to the list. I hope that Kosovo will not see in 2019 . We know that Wiwibloggs loby so much for Albaia everzy year and they brother from Kosovo. Well, this is just sad seriously. There should be more participating countries. I mean there’s no why countries like Slovakia, Bulgaria, Luxembourg can’t afford to participe in the contest while San Marino, Montenegro, Moldova etc. can. It’s a call those broadcasters have made, for various reasons. Luxembourg’s broadcaster doesn’t do entertainment programming, while Slovakia prioritises its entertainment budget for local shows. I feel like we should respect their choices – broadcasters shouldn’t be forced to do Eurovision if they don’t want to do it. This isn’t sad at all. 42 countries is only one country off the record. Of course it would be nice to have more participating countries but we should be statisfied if we look at other recent years like 2014 with 37 participating countries.